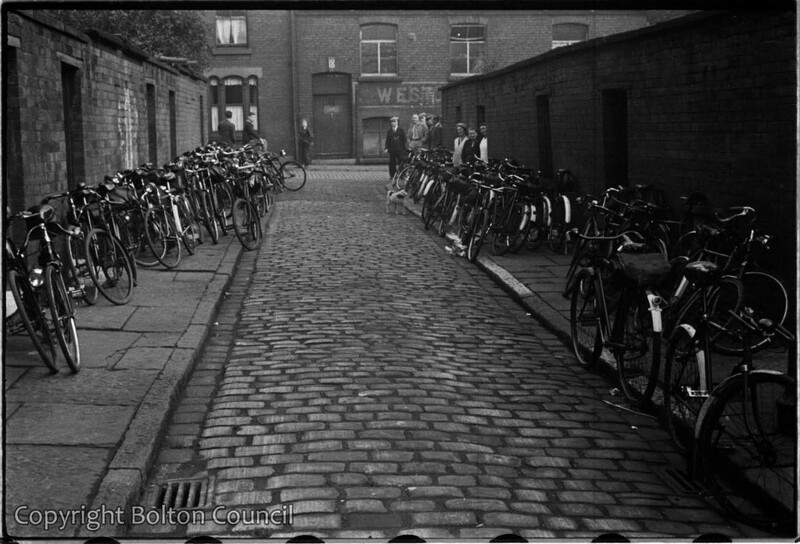 Bicycles outside the West Ward Labour Club. The bicycles are on Back Ruth St, which leads on to John Brown St. The doorway and sign for the Labour Club are visible at the back of the photograph. Humphrey Spender took two photographs of this scene at different times (the other is 1993.83.09.39).